Using LED bulbs has simultaneously reduced the power required while increasing light levels. To perform efficiently, solar light used to need hours of direct sunlight. The technology for harvesting the suns energy has improved a lot. This technology is anticipated to continue to develop at a rapid pace. The available designs and styles of outdoor solar lighting are varied. Wall mounted lantern style lighting. Hung or post mounted lighting. 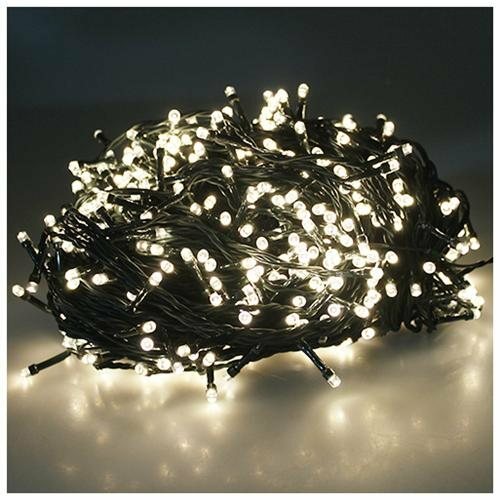 200, 300 and 400 Fairy light strings. Decking lights, designed to be mounted in recesses within the deck itself. Solar spot and security lighting. Light units will either have a solar panel built into the lighting unit, or it will be connected to a remote wired panel that can be situated in the best position to harvest natural sunlight. It will depend on where you intend to position the solar lights as to which design is the best design for you. External panels however are usually larger, but because they include wires are more laborious to install. High quality replacement rechargeable batteries will improve the performance of your solar lights. Most factory fitted batteries are bought as cheaply as possible rather than being chosen for their long term performance. Where you site your solar lights will determine how well they can work. The longer your lights are in direct sunlight, the better they will work. If your lights are shaded during the day, it will reduce the charge that they receive. Solar lights are much less efficient in shade and shadows, so try to position your lights for optimum sunlight. Product performance will improve as solar panel and battery technologies improve further. The growth in annual sales of solar powered products is set to continue rising in the future.